It all boils down to one question, ‘Is it a by-product of increasing laziness in humans?’ Reliance on technology has never been such a crucial topic of discussion than it is now. So much so, that technology is slowly and gradually threatening to take over our jobs. Yes, our. But it’s not all that bad everywhere and in every field. No business or organization can attach an additional hand to its employee to perform that extra bit of work. The solution would simply be to hire another worker at an added cost, which is often very high considering the long-term commercial aspect. Technology has been ‘that third hand’ which organizations were missing so badly during the 80’s and before. Come 90’s and early 2000’s, and technology ran its fingers on our foreheads just the way somebody calms a stressful mind. Everywhere you look, there’s a new software that takes care of a task which was earlier achieved through wasting hours upon hours on weekly or bi-weekly meetings. Where does Australia stand in this ‘affair’ with technology. Australians are very friendly towards change. Their diversity is a proof. A wind of change in technology will be more than welcome by most organizations in Australia, even if it means hiring another full-time professional only to explain the technology to the employees. Thus, giving rise to the million dollar question. Which technology trends will set its foot firmly in the Australian soil in 2017 and beyond? We take a look at a few of them. Speaking about technology stealing our jobs and not discussing Artificial Intelligence? That would not be fair at all! The technology trend which is both, a boon and a headache when talking about employer-employee relation is Artificial Intelligence. But there is more to AI than just autonomous robots doing our printing and brewing our coffee. The latest field of Artificial Intelligence that is associated with Machine Learning (ML) is breaking minds all over the corporate world. This is possible by programming intelligent mechanisms in the form of apps that does the mind work which was earlier the work of master-mind finance officers. One of the most powerful AI-ML outcomes is the development of HANA by SAP which is used to manage information embedded in large databases. Another mind-bending invention has been the data dashboard by DOMO, a business software management company. The data dashboard is cloud-based which gives high-level accuracy for all sizes of companies, large or small. You have invested in a super-intelligent AI-ML system but have left it open to trojan and malware attacks. Not so smart there. Security and privacy are the most crucial part of any business system. From finance to purchase; there is practically no department that can be left open for predators to devour from. Remember that your data and your hardware are the ingredients to the success of your business. Even though trends like security and risk testing of applications are at their beginning steps and are not very prominent among usual enterprises due to the added price tag; it is always advisable to take these decisions early rather than facing regrets at a later stage. If you are one of those readers who have been assigned the task of bringing a change in your organization, we strongly suggest you take a definitive measure in implementing this trend. You can even purchase your bulk electronic consignment for the entire staff and invest in other gadgets from ThinkGeek at almost 50% off. And that’s not it. You can avail of their free shipping offer on minimum purchase of CAD 75. 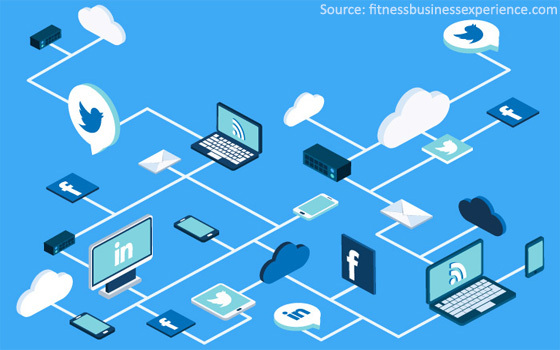 One of the technology trends that is growing increasingly popular is the implementation of Software as a Service. 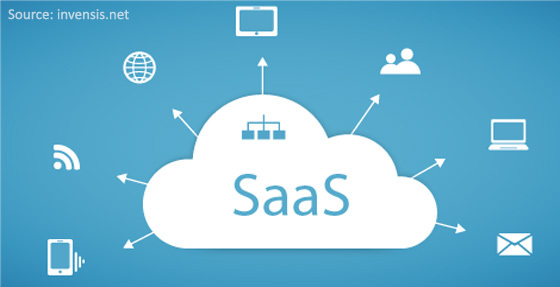 SAAS is basically a way of uploading your technology on a cloud server and letting your key users utilize is as per their own will. One of the major advantages of SAAS is its versatility in mobility and access. The users have the freedom of subscribing and using these services on the go. Secondly, SAAS is not very expensive to implement and run since they rely on an internet connection to work. Lastly, adding a new user is an easy job. As easy as creating a new profile on Facebook, just fill in the personal details of the additional person and he or she will be up and running within hours. A bit of training and you won’t need to pay the software programmer again and again. Learn more about this and other breakthroughs in science, technology and other non-technical topics simply by purchasing reading materials from eBooks at attractive discounts.